Home / Entertainment / Would You Spend New Year’s Eve with the New England Patriots? Would You Spend New Year’s Eve with the New England Patriots? New Year’s Eve will be here before you know it and we have the perfect idea for you football fans! How about a hassle free, all inclusive trip to Gillette Stadium to watch the New England Patriots battle the New York Jets, sounds perfect right? 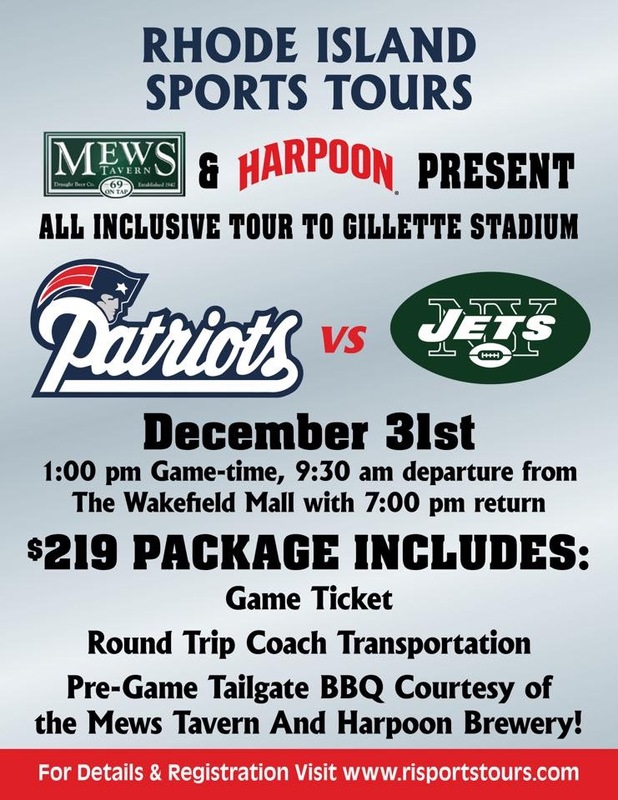 Rhode Island Sports Tours is offering a trip on December 31st…the perfect way to send off 2017! Please note only 12 spots remain so act fast, click here to register! Only 12 spots remain, book your spot today! Previous This Old House Revealed Their 2017 Idea House Project in East Matunuck! Next Beautiful Video of a Whale Encounter off Rhode Island Coast!